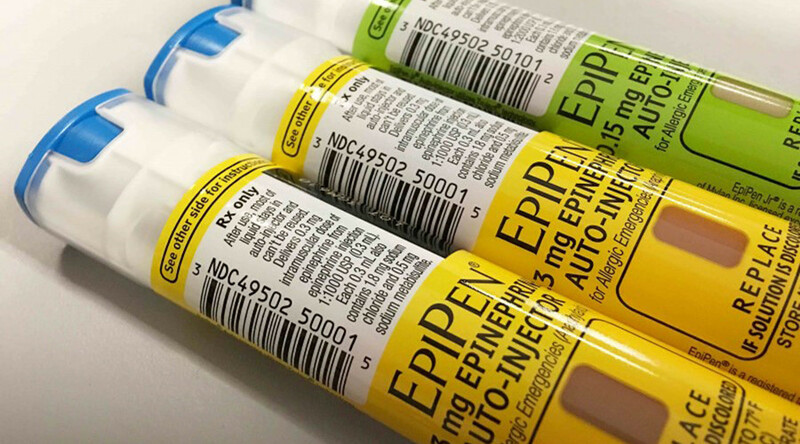 “A preliminary review by the Office of the Attorney General revealed that Mylan Pharmaceuticals may have inserted potentially anticompetitive terms into its EpiPen sales contracts with numerous local school systems,” New York Attorney General Eric T. Schneiderman said in a statement Tuesday. EpiPen is a vital device for people suffering from a life-threatening allergic reaction known as anaphylactic shock, which requires immediate treatment. Manufactured by Mylan Pharmaceuticals, the injector is used to provide patients with an emergency dose of epinephrine to counter this severe condition. As of 2013, the year when President Barack Obama signed the so-called EpiPen Law, 27 states across the US allowed keeping epinephrine in their nurses’ offices for children with allergies. New York state requires all public school nurses to be trained and licensed to use EpiPen in cases of emergency. It also allows students in need to carry their own EpiPen. 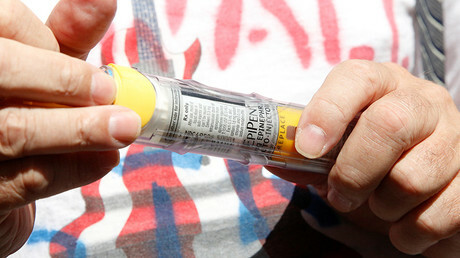 EpiPen provides schools participating in its “EpiPen 4 Schools” program with the drug for free. In nearly 1,000 cases recorded of an auto-injector being used in the 2013-2014 school year, the company says its product was used 48.7 percent of the time. However, the life-saving treatment became far less affordable as years went by, since Mylan came on board after acquiring rights to EpiPen in 2007. The company has increased the price of the product from around $100 for a two-pack of injectors to more than $600. The practice now has landed it in the spotlight of New York’s attorney general. “If Mylan engaged in anti-competitive business practices, or violated antitrust laws with the intent and effect of limiting lower cost competition, we will hold them accountable,” he added. In the recent weeks, Mylan has been facing criticism from both political camps as well as from the Democratic presidential nominee Hillary Clinton. Last week, she announced her new plan to get federal officials on an oversight board that would monitor price increases for drugs. "Should an excessive, outlier price increase be determined for a long-standing treatment," Clinton’s announcement said, the oversight board would be able to enact enforcement strategies to make alternative drugs available while "supporting alternative manufacturers that enter the market and increase competition."